We have Open position for “Cloud Monitoring” which is based in Hyderabad. * Anantha Cybertech Pvt Ltd is established in the year of 2003 specialized in IT, Non IT, ITES. Ours is an MNC company with ISO CERTIFIED. * Anantha Cyber Tech Pvt Limited, India is a auxiliary company of Anantha Limited, UK which is one of the fastest growing “Global IT Service Provider” and a Talent Search Firm started in 2003 with its Head Quarters in UK. We have Open position for "Cloud Monitoring" which is based in Hyderabad. 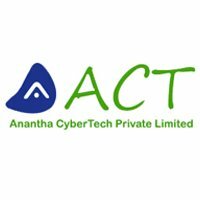 * Anantha Cyber Tech Pvt Limited, India is a auxiliary company of Anantha Limited, UK which is one of the fastest growing "Global IT Service Provider" and a Talent Search Firm started in 2003 with its Head Quarters in UK.